The Setting: A warm and surprisingly still snowy February afternoon, 40 degrees, an hour or so before sunset. 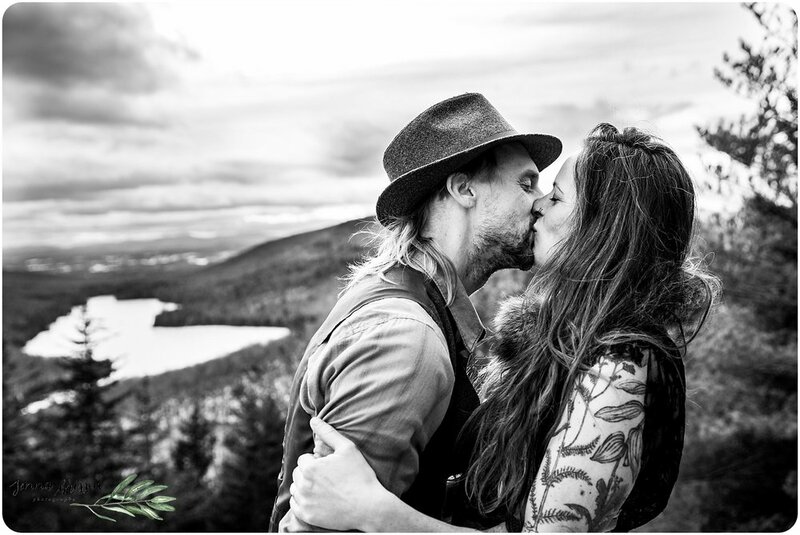 The Details: These two described their relationship as empowering, supportive, and adventurous. 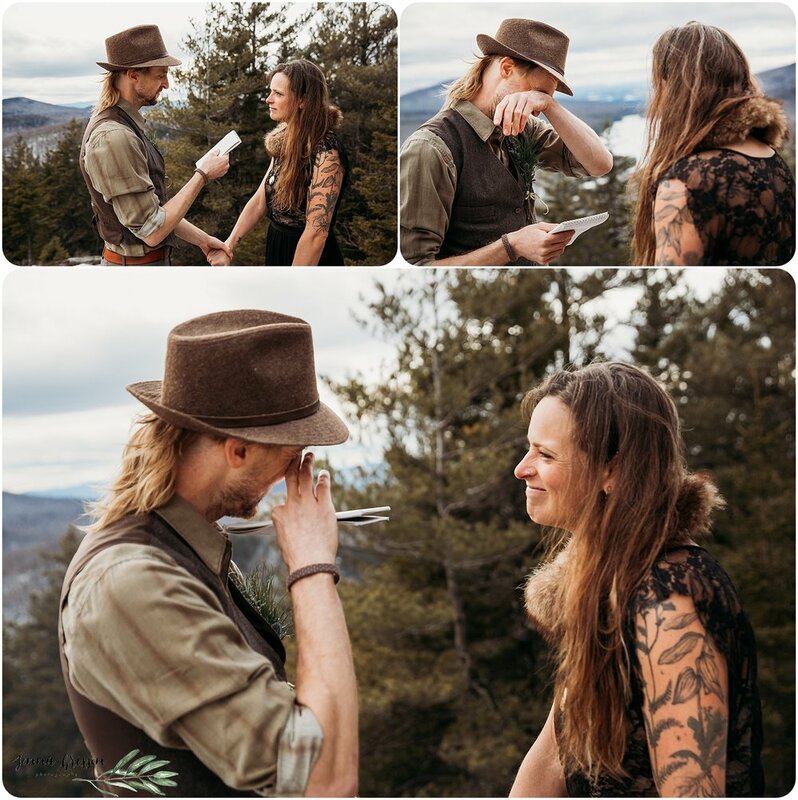 I couldn't agree more after witnessing this sincere and intimate ceremony at the summit of Owl's Head. 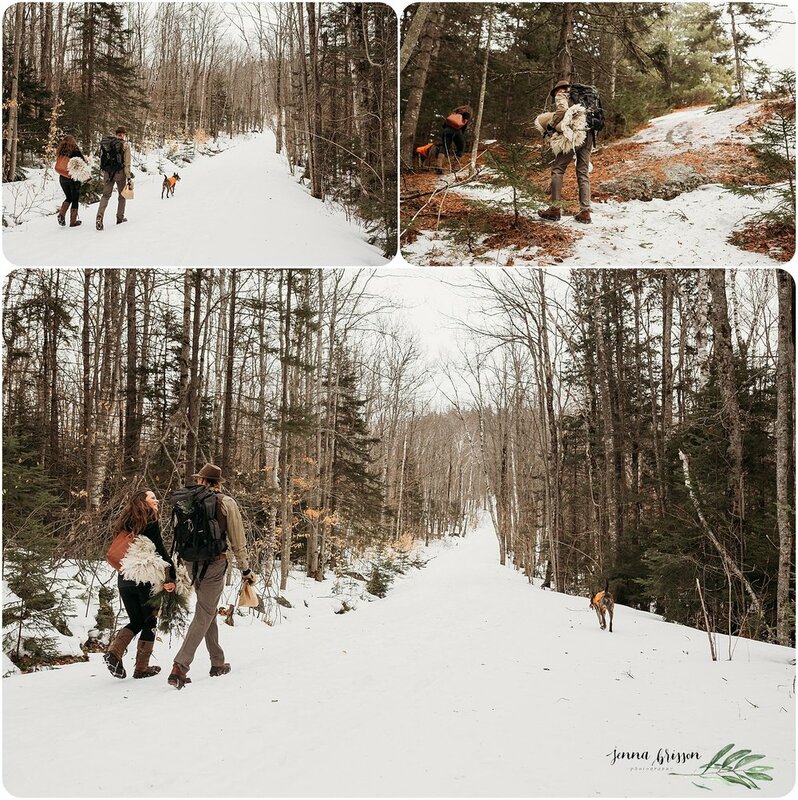 The whole experience enveloped exactly who I imagine they are in their daily lives as well - genuine, outdoorsy, fun, and authentic humans. 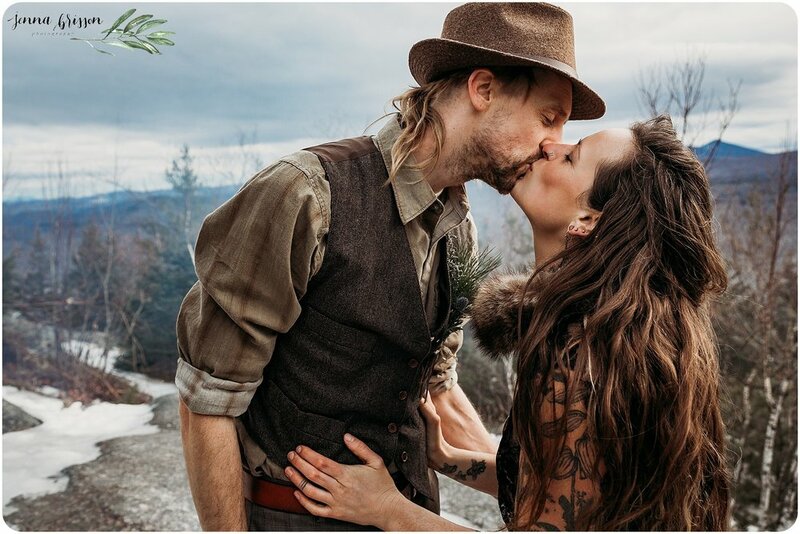 They drew inspiration for their ceremony from old world traditions, modern day herbal remedy culture, and personalized it with a mixture of their own personal favorite belongings and treasures. 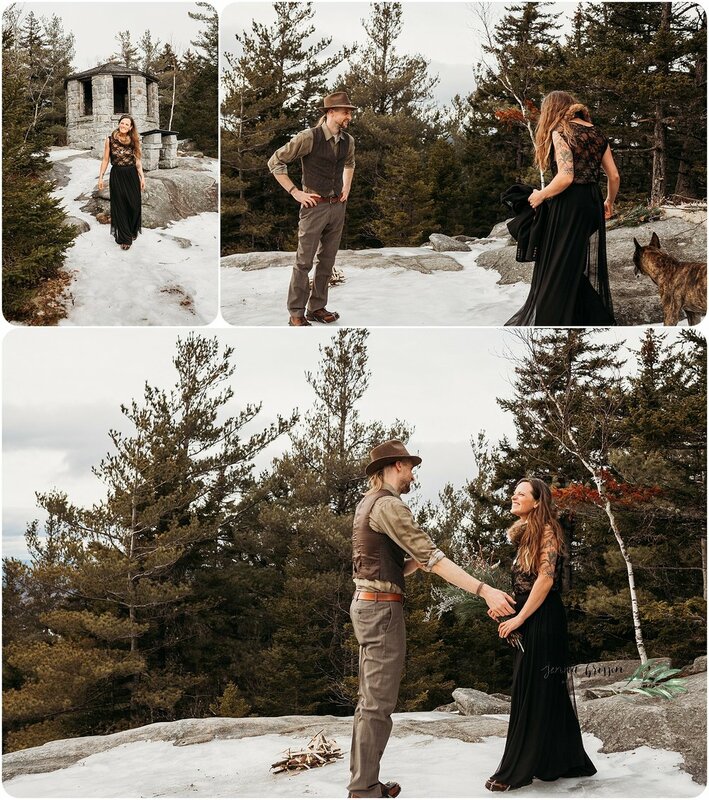 My husband (assistant for the day) and I parked at the trailhead, hiked up to the summit with the couple and their pup, and then witnessed one of the most intimate, genuine and heartwarming ceremonies I’ve seen so far as a wedding photographer. As I write this, I'm just feeling pretty grateful to have been a part of this one. 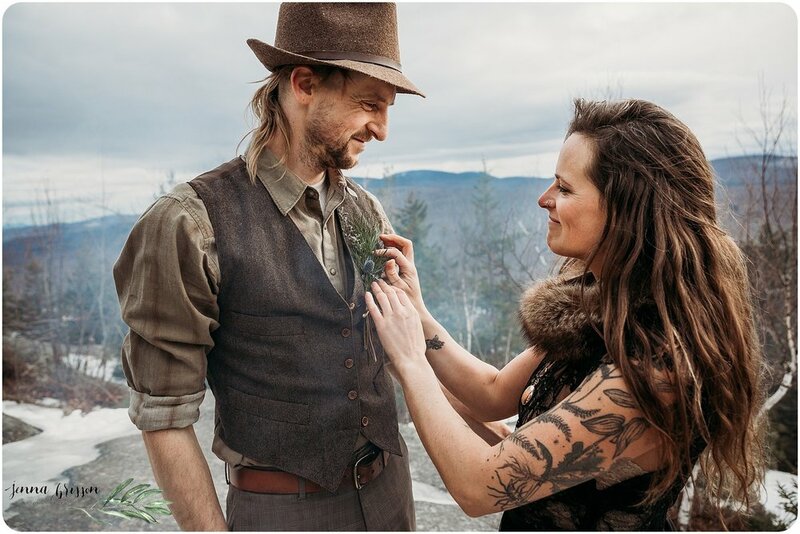 Some of my favorite details from the day were: her handmade bouquet and boutonniere from local white pine and cedar boughs she found near their home, as well as the various personal trinkets they brought to the summit with them, including wedding photos from each of their respective parents’ wedding days long ago. 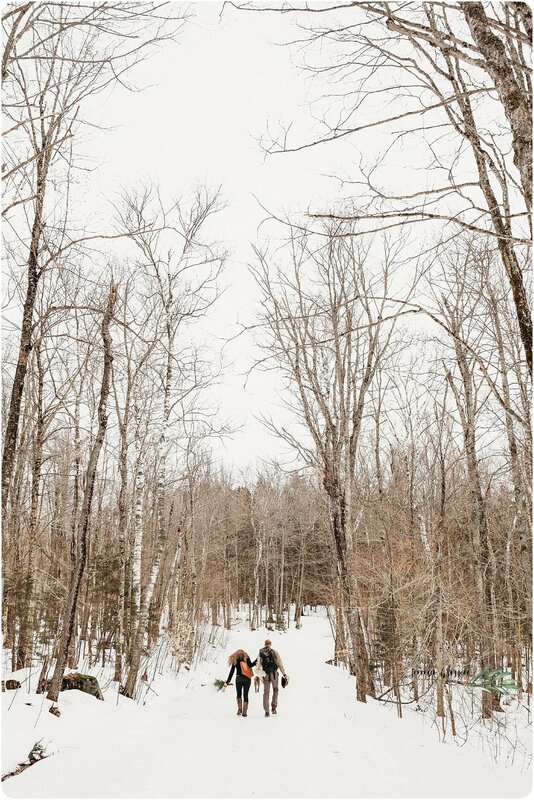 They even thought to bring a sheepskin blanket for their pup to hang out on so he wouldn’t get too chilly.